The lead tax writer in the U.S. House, a Houston-area Republican, said he considers sending the tax overhaul to Trump's desk Wednesday one of the best moments of his life. WASHINGTON – After a legislative snafu, the U.S. House took its final step Wednesday to pass a massive overhaul of the American tax code. 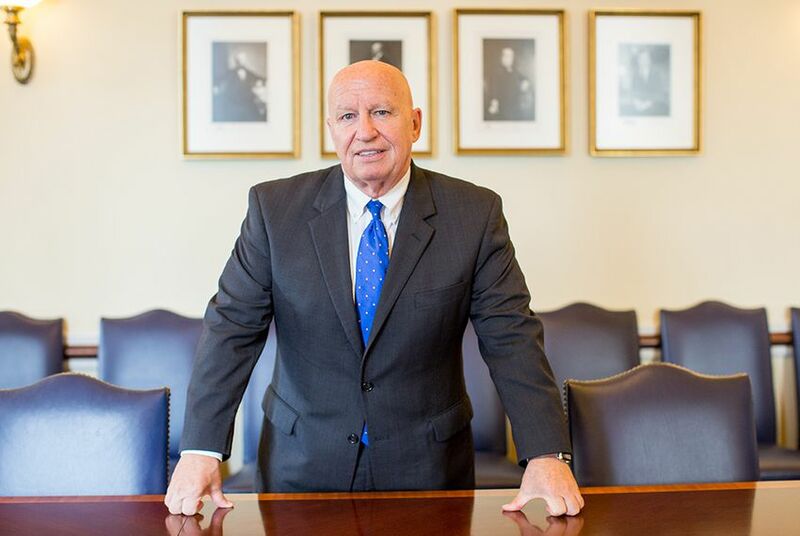 The bill now goes to the desk of President Donald Trump, whose signature on it will mark the capstone of U.S. Rep. Kevin Brady's 20-year career in Congress. As the U.S. House Ways and Means Committee chairman, Brady, a Republican from The Woodlands, has drawn praise from colleagues for ushering the once-in-a-generation tax overhaul bill through the House and through the conference process with the Senate. In a Wednesday morning interview with the Tribune just hours before the House's final vote on the bill, Brady basked in helping deliver his party's most significant win of the year. Outside of major family events, Brady said there was only one other moment that could rival passing the tax overhaul as the best day of his life. "Houston Astros winning the World Series or passing tax reform?" he said. "[I] cannot seem to choose. That one's difficult." Brady said that early in the process he reached out to former U.S. Secretary of State James Baker III for advice. Back in the 1980s, Baker, then President Ronald Reagan's Secretary of the Treasury, was credited as the strategic quarterback for the bipartisan tax overhaul Congress passed. But Brady said he also learned strategic lessons from his party's unsuccessful attempts to repeal former President Obama's 2010 health care law earlier this year. "First, it is important for the president and House and Senate to get on the same page," he said. U.S. Sen. John Cornyn, the Senate majority whip, is the other Texan credited with helping to move the bill through Congress. “This tax reform may not bear the ribbons and bows of a Christmas present, but the men and women who are trying to make ends meet will benefit from lower taxes, bigger paychecks, and a resurgent economy that will produce more jobs and better opportunities," Cornyn said in an early-morning statement. But as a member of leadership, Cornyn is at the center of every legislative battle. For Brady, this was a singular goal in his tax-writing domain and years of effort in the making. Even so, the bill hit a temporary road block Tuesday afternoon when the House bill did not pass muster with arcane Senate procedure rules. The Senate ultimately passed a slightly different version of the bill in the early hours of Wednesday morning, necessitating the House to vote on it one last time midday Wednesday. "Not unexpected," Brady said. "The Senate budget rules, they challenge every part of the tax bill, and the parliamentarian rules," he responded. "So something like the name of the bill didn't hit their provision rules and two other provisions as well." The Wednesday vote in the House was 224-201, similar to the House vote a day earlier but with a few more members not present, including U.S. Rep. Lamar Smith, a San Antonio Republican who missed the final vote due to a family matter. The votes of the other members of the Texas delegation broke down along partisan lines. Along with an across-the-board cut to the corporate tax rate, the tax bill will also lower income tax bills for the vast majority of households, though the wealthiest households are slated to see the largest benefits. The measure also repeals the penalty for not buying health insurance, a central element of the Affordable Care Act. Cornyn predicted Tuesday that that provision of the tax bill will make Obamacare "unworkable" and force Democrats to negotiate with Republicans over more major changes to the health care law, according to Bloomberg News. Democrats received the $1.5 trillion bill with merciless criticism – accusing Republicans of running up a deficit they pledged during the Obama administration to mitigate. "This monstrosity is a bill that only Donald Trump and Republicans, who have accomplished next to nothing in this Congress, could love," said U.S. Rep. Lloyd Doggett, an Austinite and the lone Texas Democrat on the U.S. Ways and Means Committee. "It will not grow our economy, it only burdens us with an immense amount of debt." Many independent economists are issuing similar alarms, and Democrats charge that the lost revenue is intended to set the stage for massive cuts to entitlement spending next year. Brady suggested that the economic benefits to younger generations as a result of these tax cuts are the paramount consideration in this debate. "We are borrowing some to get this economy going and giving them a much brighter future than they have today," he said.